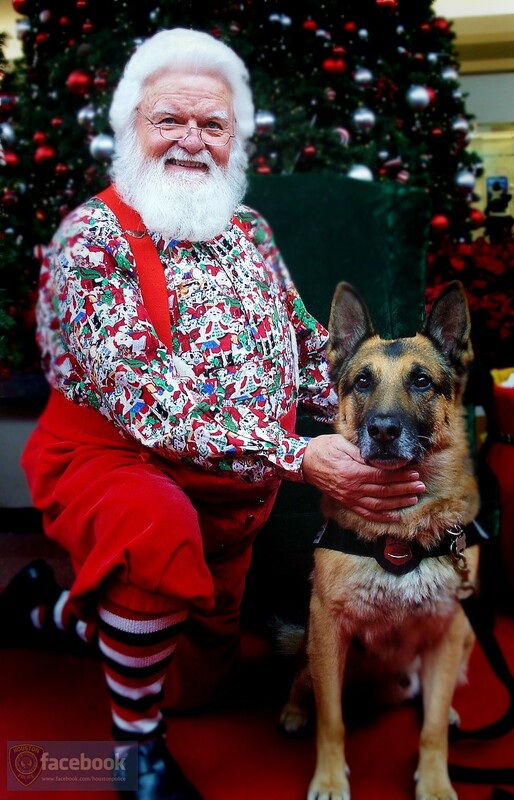 The HPD Museum is a free, family friendly activity. The museum is located downtown at 1200 Travis in police headquarters. 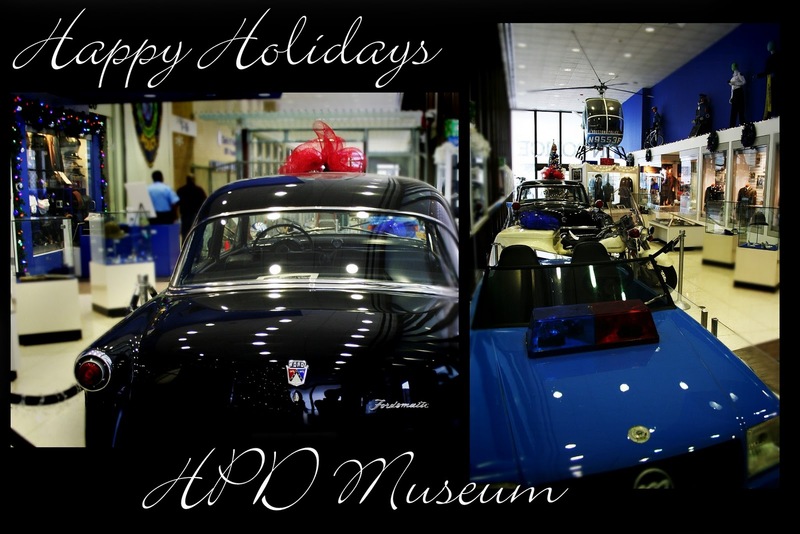 While your family is in town for the holidays, bring them down and show them a little HPD history. The museum is open 9AM-9PM, Monday-Friday, and no reservations are required for groups under ten. The tours are self guided. The gift shop will be open today from 11 am to 1 p.m. All sales benefit the Houston Police Foundation. Also, the gift shop vending machine in the lobby is always available for last second gifts. Sorry officer, I will not work for you or the city today. Santa needs me. It seems that one of his reindeer was involved in a tragic hunting accident. Meet "Shadow." 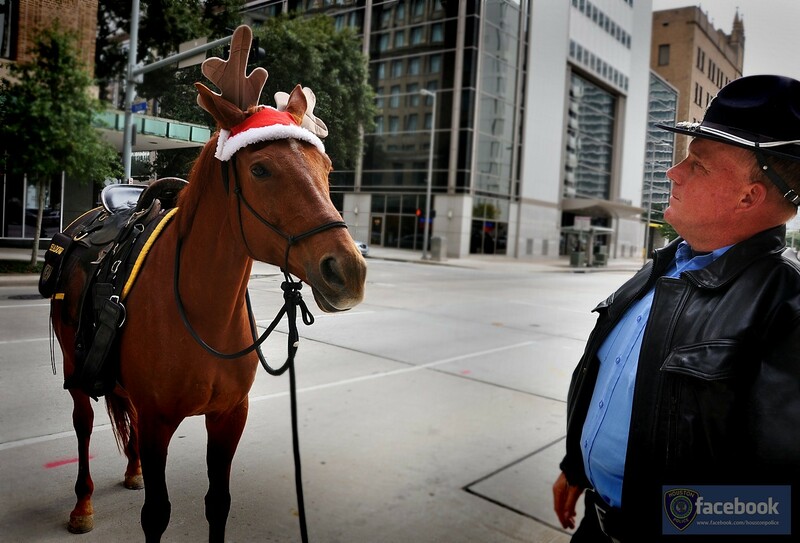 Shadow is one of the many "faces" working for the Mounted Patrol. However, he is the only one that makes this face on cue. 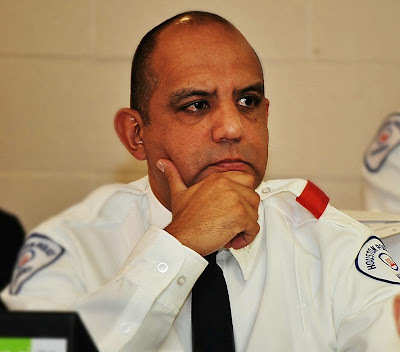 Recently, Senior Police Officer T. Hawkins a 27 year veteran of HPD was on patrol when she received a call regarding three suspicious males lurking near a residence. 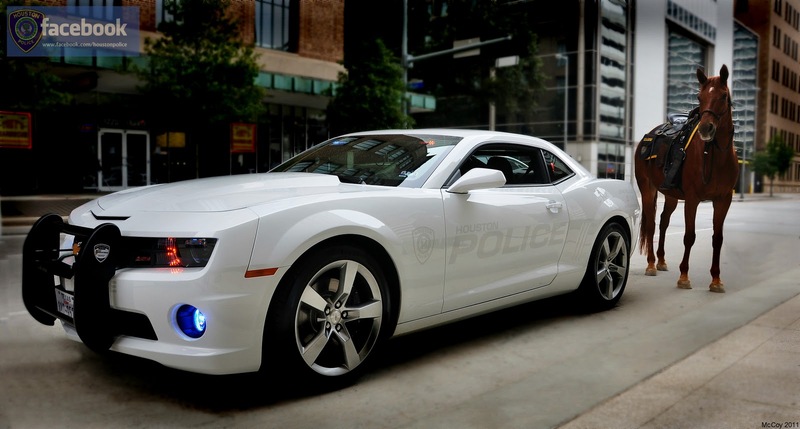 She quickly arrived at the location, parked her patrol car out of sight and began a search on foot for the three males. During the search she began looking through the fences and observed three males coming out through the back window of a home that they had just burglarized. Officer Hawkins immediately requested back-up and broadcasted the description of the suspects as they fled on foot. 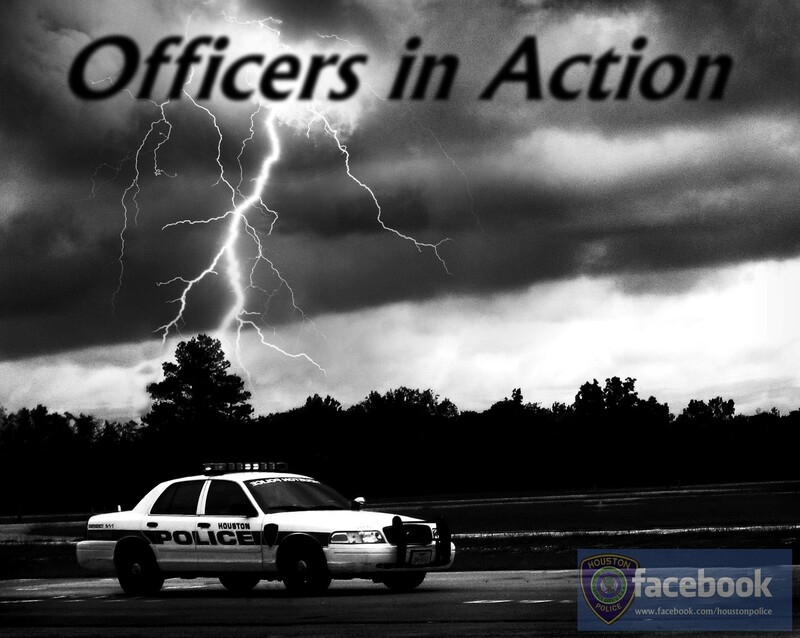 Officer Hawkins jumped into action and quickly located the suspects running down the street and was able to detain all three of them at first. As she was handcuffing two of the suspects, the third one ran away. However, by this time other patrol units and a K-9 unit began to arrive to help Officer Hawkins out. They quickly located the third suspect and he was arrested without incident. All the stolen property was recovered and returned to the victim. Charges were filed on all three suspects. The skill in which this veteran officer accomplished her duties reflects great credit upon herself and the Houston Police Department. HPD would like to commend Senior Police Officer Hawkins for getting three more crooks off the street and a job well done. I would like to introduce myself, I'm Jimmy James, 21 years old, born and raised in Houston and currently a cadet in academy class 212 which started December 5th. 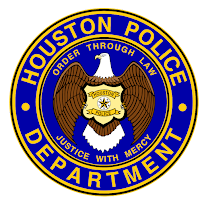 Becoming a Houston police officer has been a lifelong dream of mine and being accepted into the academy makes me that much closer to achieving my dream. Since I don’t have any prior military of law enforcement experience it made me a little nervous, but I learned that most of my fellow cadets don't either. 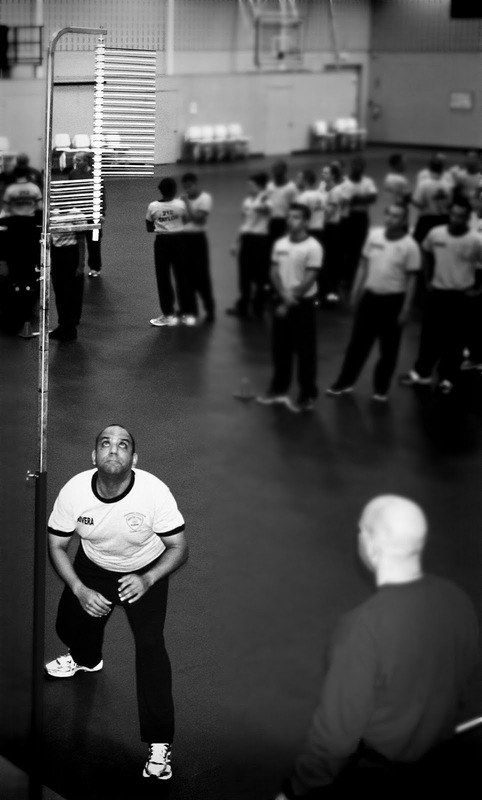 During week one our training staff made it clear that they have high expectations of us since we are the first class to have both the reading comprehension test and the entire physical fitness test administered to us in the application process. Last Friday we had our initial physical fitness test and I have to say that the “Run with your Recruiter” events in Memorial park that I took part in, has been a great help for me, but I still need to work on my skills. 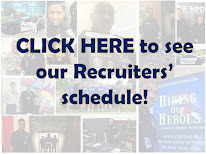 My best advice to applicants is to start working on your running and push ups now if you plan on applying once the process opens again. 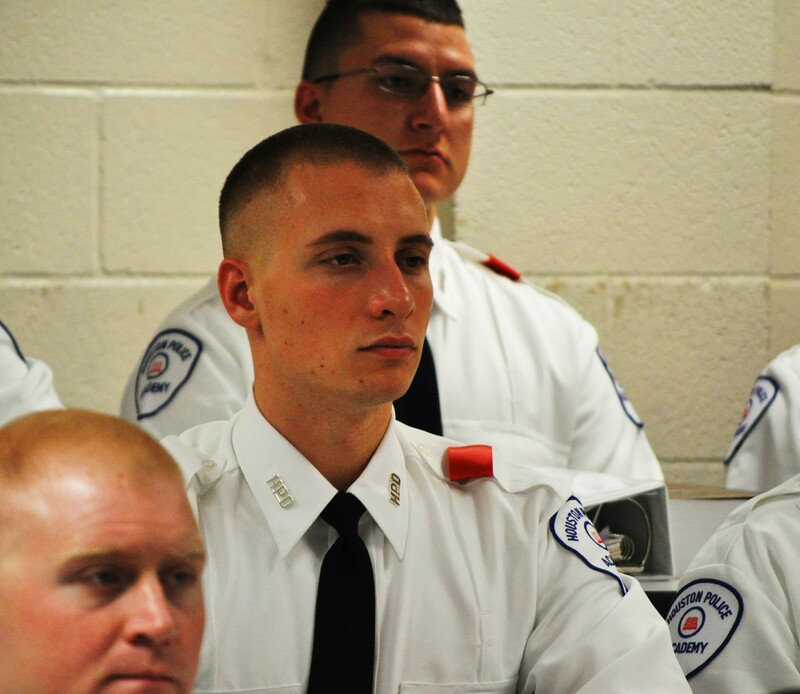 I am also impressed with the unity that our class has, if you need help or if you're struggling with something you can always count on your fellow cadets to help you make it through. 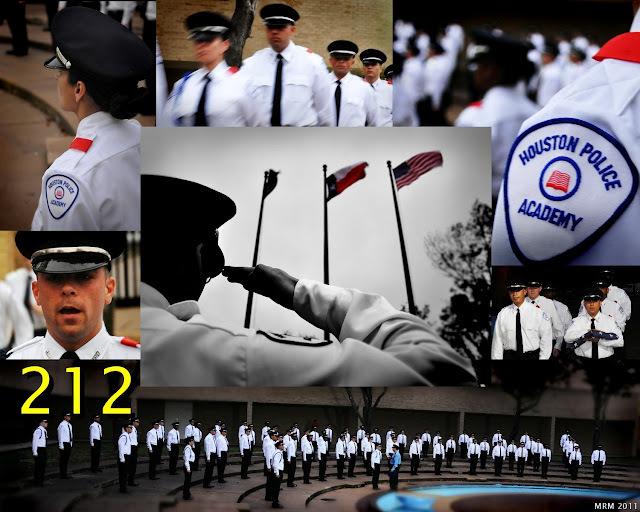 Week one is now history and I can't wait for my second week as a cadet in the Houston Police Academy! 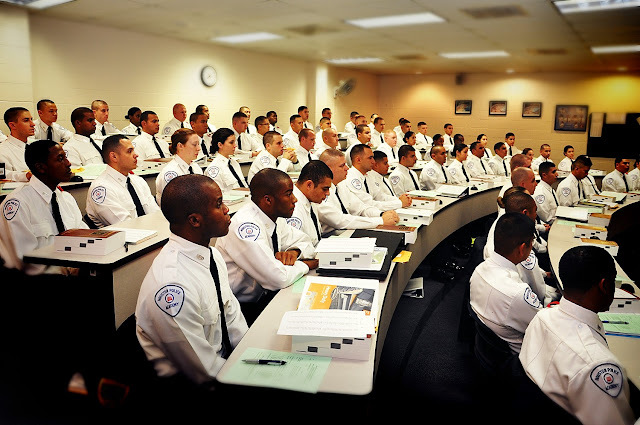 This is the first week of the Houston Police Academy. 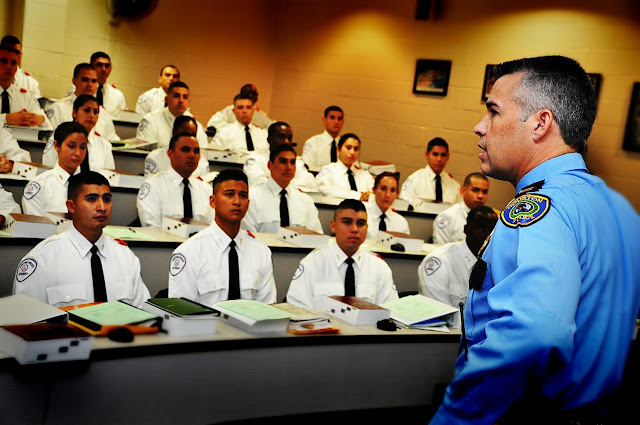 For me, Cadet Rivera, this process started back in July at a friend's birthday party where I met Sergeant Brown and was invited to attend an Open House at the HPD Police Academy. Deep down inside, I knew I was meant for this. However, this was not the first time I had thought about being a police officer. Back on 9-11, when America was attacked by terrorists, I was in the car ready to sign-up but my lovely wife asked me not to go because our children were too young at the time. She was right. I would never trade those years. But, now, at age 42 could I make the cut? Friends and family encouraged me to apply. The application process was grueling and very introspective. I realized I had gained too much weight and began working out with renewed purpose. I showed up to my second “Run with the Recruiter” event 25 pounds lighter and was determined to make a good showing. (If you are an applicant, I strongly advise you attend these events.) 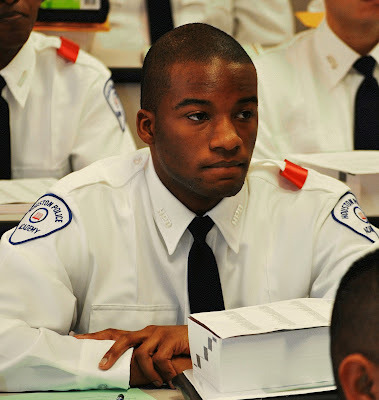 Four months later, I received the call that I had been accepted to the Houston Police Department as a Cadet. FAST FORWARD…As I sit in the same classroom with 73 other cadets, I think of the thousands of applicants who want my seat. The weight of the training to come, the physical demands, the family obligations that will be put on hold, and the dedication weighs heavy on me. 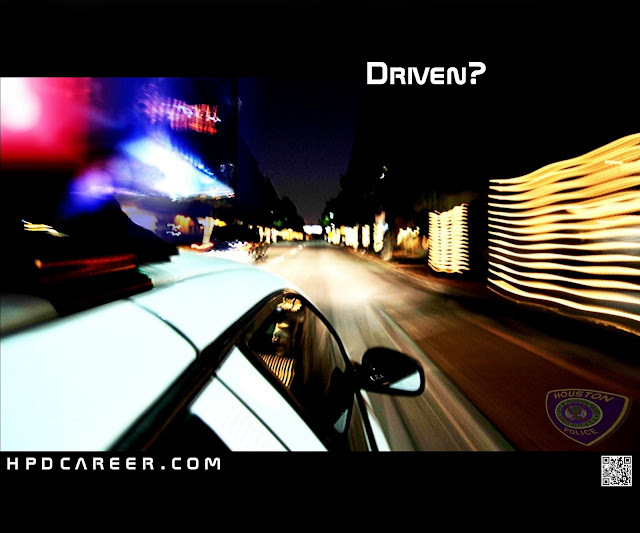 We are reminded by our instructors that not everyone is cut out to be a Houston Police Officer. They show us the front door and say there is no shame in leaving now. No one left the classroom. 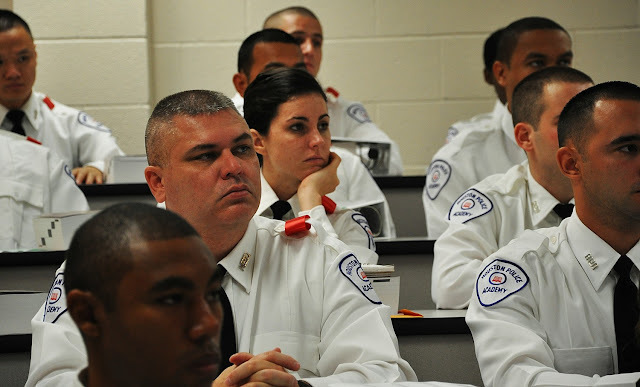 Then we were reminded that we were chosen to become police officers and a lot of eyes are watching Class 212. 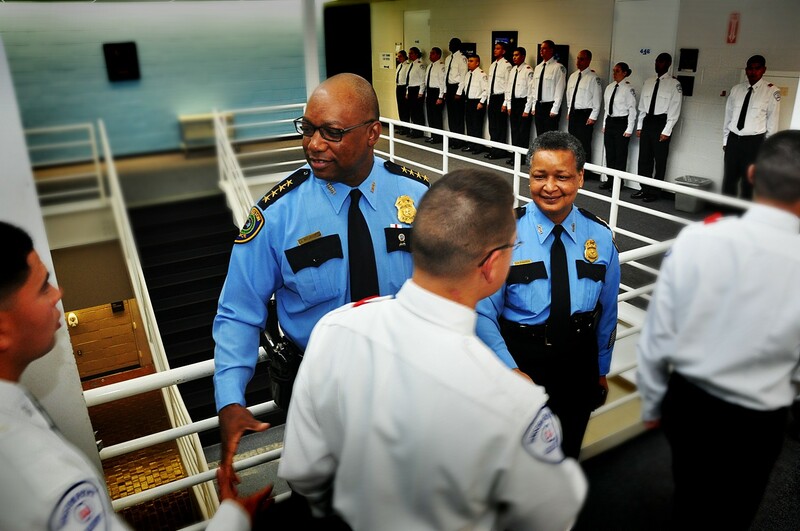 On that first day, Chief McClelland addressed and welcomed us as cadets and promised that all the hard work would pay off. 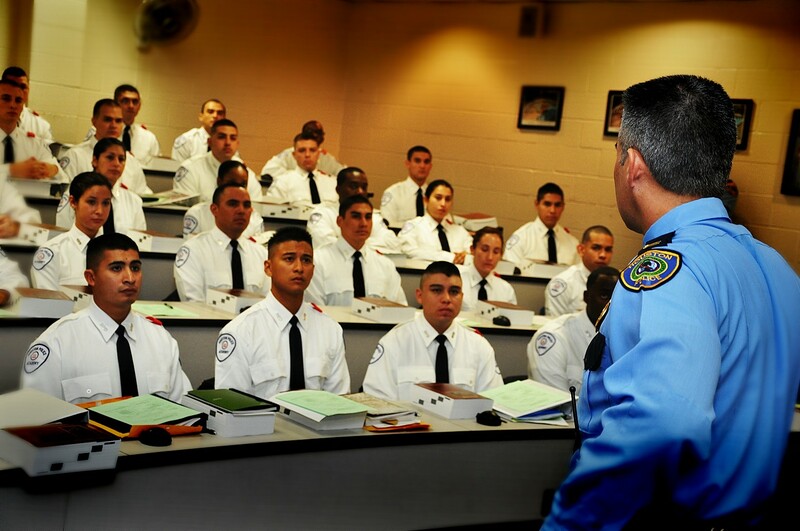 Captain Ready (academy staff) challenged the class to be prepared and respectful of those who wear a blue shirt. As the week progressed, Class 212 quickly learned that 'attention to detail' is key to getting through the day without doing push ups. 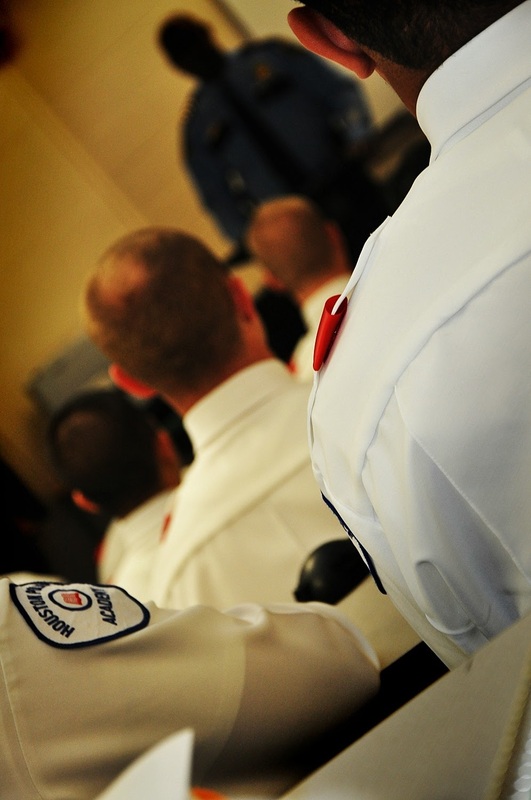 Officer Nicola (academy staff) reminded us, "That the only easy day was yesterday." Class 212 is slowing coming together as a team. The camaraderie is growing and the friendships are getting warmer. Our class leader (McMurtry) is assertive and encouraging us to strive for excellence. All of us are being challenged to reach deep inside ourselves and break all those mental obstacles that keep us from being excellent. Friday came like a hurricane. The gym staff pushed each cadet during our first physical testing. We took a breather and then got our butts kicked for not following directions. It tested our intestinal fortitude. As I gutted out a push up plank, I knew this correction would eventually end…but would I beat it or let it beat me? An instructor walked by me and whispered "have pride, Rivera." I beat it. Everything is done for a purpose and the pain in the gym will keep us from bleeding in the field. As I packed my locker at the end of the day, I said good-bye to several cadets. I smiled. 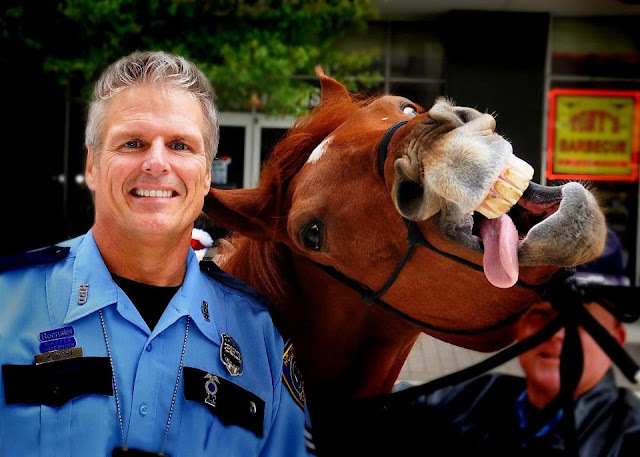 "Wow, I am in the Houston Police Academy!" I am with the best the City of Houston has to offer. I am honored to be in the presence of 73 other incredible men and women who have been chosen to join the Houston Police Department. I look forward to the next six months. Nothing like a cold morning to begin your day. 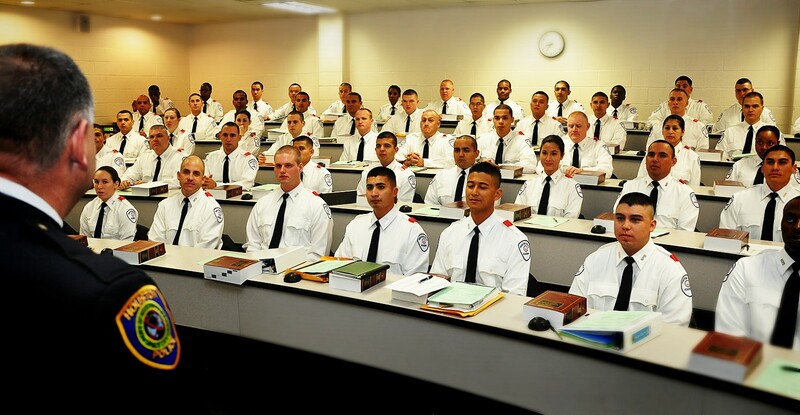 This photo depicts Cadet Class 212 learning the formalities of "roll call in formation." Don't worry 212, it will soon become second nature. The Mena siblings were told that their father was not granted leave at first so their mom told them he would not be able to make it home for graduation. However, at the last minute he was granted leave and was able to fly home from Iraq to attend. Army Sergeant First Class, Combat Medic, Carlos Mena surprised his kids and was able to pin their badges. Thank you for your service as we remember the 70th anniversary of Pearl Harbor today. 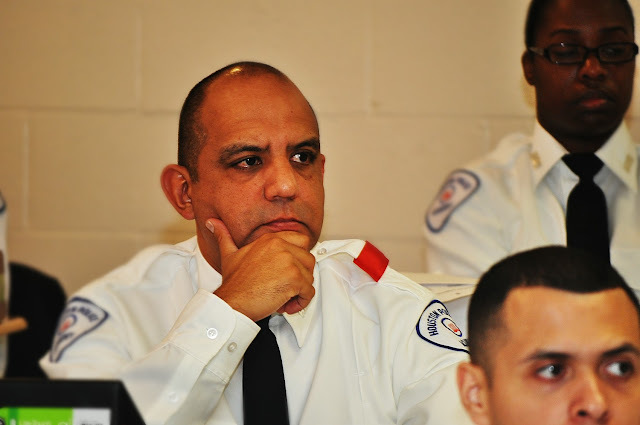 During the Houston Police Department's Cadet Class 211 Graduation, siblings Karla and Marlon Mena got an unexpected surprise when their father, Army Sgt. 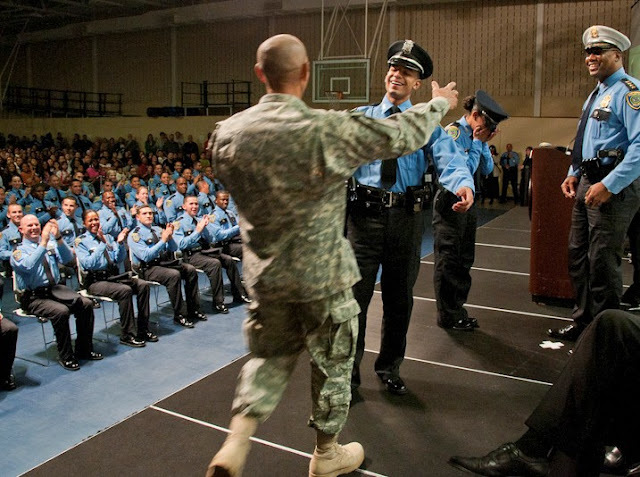 1st Class Carlos Mena, returned from duty in the Middle East to pin their badges.